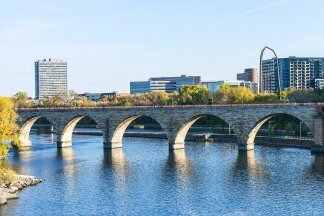 Interested in Buying a Business in Rochester, MN? If you’re considering hiring business brokers to aid you with buying a company, rely on the highly trained Rochester, MN advisors at Sunbelt Midwest. Our aim is to guide clients through complex business sales, mergers, and acquisitions. It’s easy to make errors during business transactions, as they’re often more complicated than home or commercial transactions. This is where Sunbelt Midwest comes in. Our brokerage and advisory expertise encompasses a broad array of industries. We’ve assisted sellers in various fields with placing their companies on the market. In turn, we’ve helped buyers locate their ideal businesses in those industries. From retail and hospitality, to automotive and transportation, to medical and real estate, we’re well-versed in the selling and buying processes for a wide range of professional fields. Negotiation is a crucial part of almost all business transactions. As a buyer, it pays to have an expert in your corner advising you and protecting your best interests. Our skilled Rochester, MN brokers deliver nothing short of sound guidance when it comes to closing a deal. Additionally, to further facilitate the buying process, we offer personalized assistance to buyers in need of financing options. The business brokers at Sunbelt Midwest offer adept market intelligence – an indispensable resource when you’re looking to purchase a business. Like selling a business, buying a company is one of the most important financial steps you’ll take in your lifetime. Your advisor will handle the hard work for you and ensure each aspect of your transaction is handled thoroughly and accurately.